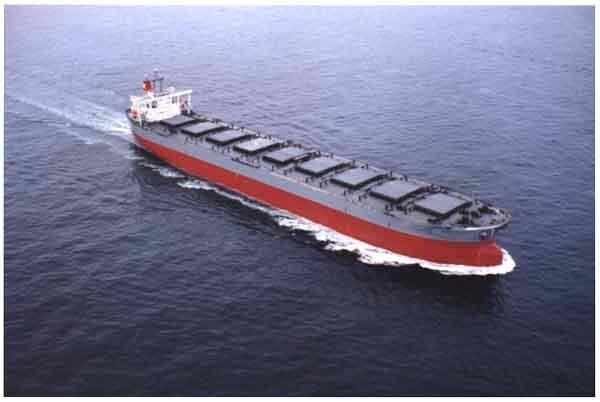 The 171,000-dwt type Bulk Carrier CAPE AZALEA was delivered at NKK's Tsu Works in June, 1996 to Paloma Shipping S.A. This vessel is the first vessel of this 170,000-dwt Type Bulk Carrier built at NKK. The ship transport mainly coal from Australia to Japan. Unique features include energy-saving devices such as NKK SURF to increase propeller efficiency, a large bulbous bow, and lower leeway-type living accomodations. Although designed primarily for coal or iron transport, the ship can also carry grain.